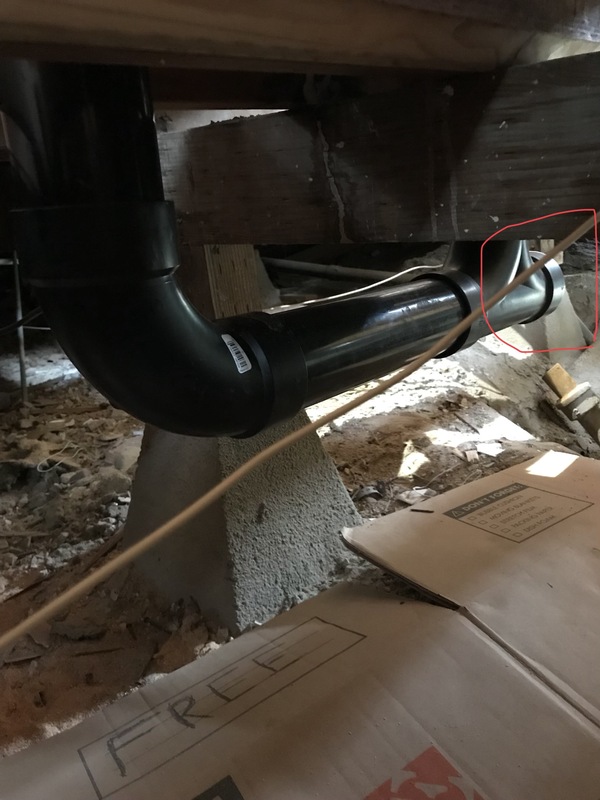 I have a plumbing question and hope that someone with plumbing knowledge will lend a hand. Can I connect my toilet drain line where the red circle is drawn to my second toilet? The T fitting just before the red outline is connected to a toilet to the left and a vent stack above. My question is if my toilet is less than 4’ away from this vent stack, and I’m using 3” ABS, can I tie my wasteline from the second toilet directly into the wasteline downstream from the stack and still achieve proper ventilation? I also, is this acceptable per code in CA? What is this pipe called, and how does it work? Can I reroute these drain lines to make this stack more compact? Is this a proper wet vent?